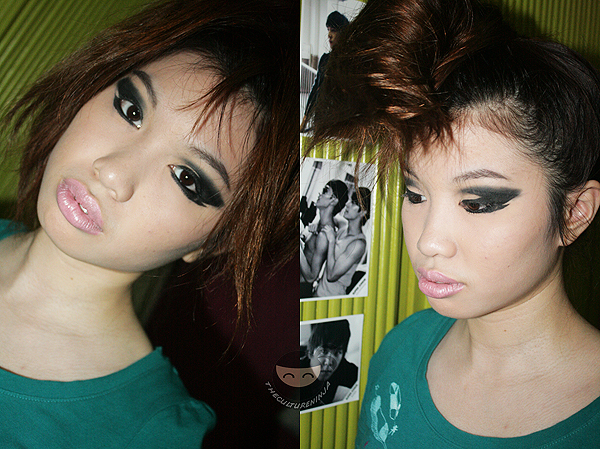 Follow through the steps to create this makeup after the cut! First of all, get your face ready for the look by applying a face primer, foundation, and concealer. Get your eyes ready by applying eye primer, brushing on the beige eye shadow all over your lids, and lining your eyes to follow the pattern of her eye makeup in the video. 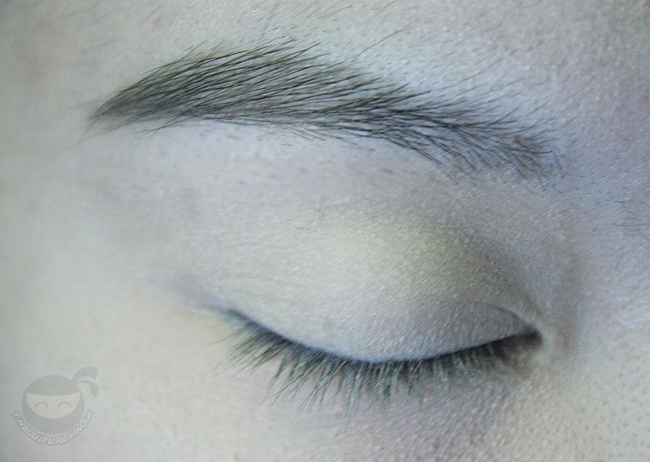 Start Lining the eyes as shown, making sure to leave a space near your inner lids. Also line your lower lash line and create the said pattern shown. Grab your black eye shadow on a dense eye shadow brush and pack it on your eyelids outside the lines of the pattern you have created and blend it. 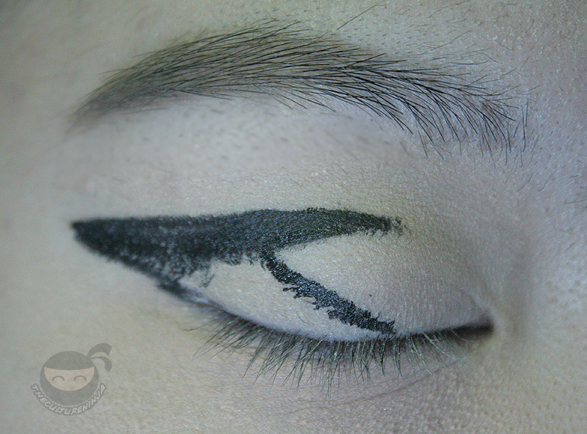 Gradually create blended layers of the black eye shadow with the gel liner until you cannot see where they both meet. 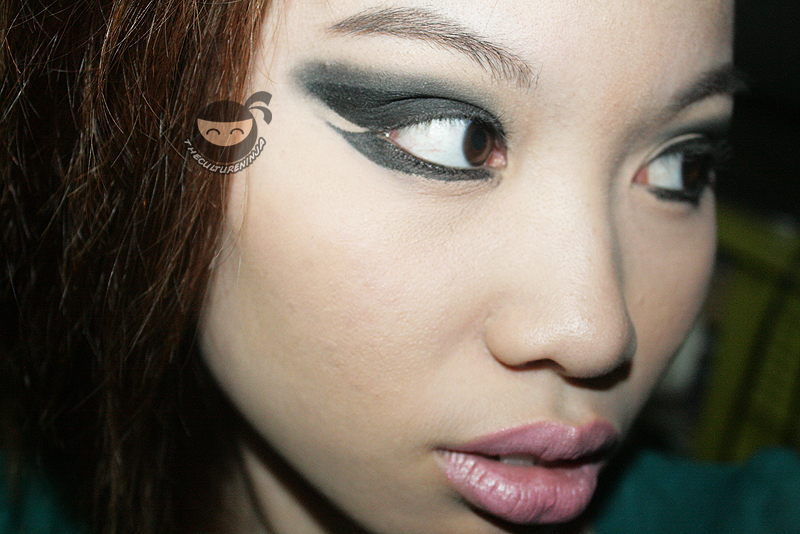 After that, apply black eye liner to your upper and lower waterlines to intensify the look. First layer of Black eye shadow to show placement. Make sure you blend in the shadow until you cannot see where the gel liner and shadow meets. To finish it off, add mascara, draw on your eyebrows, contour your face and apply a pale pink lipstick to complete the look!